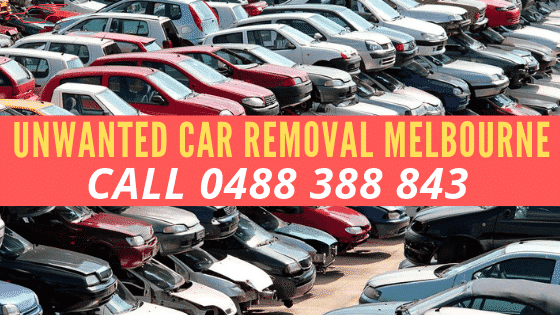 Cash For Unwanted Cars Removal Melbourne UpTo $8999 Call Us Now! You can schedule your unwanted car towing for a time today that fits your schedule. Express Cash for Cars is your free unwanted car removal company that pays you cash to haul your car, truck, van, 4×4, SUV, or bus away from your property. Contact us for a quote. Unwanted car towing is just a call away. Express Cash for Cars is your free car towing service in Melbourne that will schedule your vehicle removal today. You don’t pay us cash to tow your vehicle; we pay you. We are the cash car removal company that will valuate your vehicle, remove it for free, and leave cash in your hand for its sale to us. The process is quick and simple. Just give us a call for a free car valuation and to schedule your free towing Melbourne. Whether you have one car to sell or many, you have a cash car buyer for your vehicles in Express Cash for Cars Melbourne. Car owners that would like to have their unwanted vehicles towed can contact our appraiser to valuate their vehicles. We valuate vehicles quickly and accurately. Once a valuation for the vehicle is provided car owners that would like to take us up on our offers can schedule free unwanted car towing anywhere in Melbourne. The removal process is quite simple. We will arrive at the designated time to remove the vehicle. Our technician arrives fully prepared to purchase the vehicle, offering the cash value we quoted over the phone or online. All paperwork is also provided at the time of the removal to complete a legal car purchase. We ask that car owners have the title of ownership or registration for their vehicle, a current photo ID and the plates of the vehicle removed. With that, the purchase of the car will be complete, and our technician will get right to work loading the vehicle for removal. The time of removal is also when we make the cash payment. With Express Cash for Cars, car owners have a car selling experience that leaves top cash in their hands. Contact us for a quote today. To have your vehicle valuated give Express Cash for Cars a call at the number below. Our appraisers provide instant cash quotes for vehicles of every make and condition. For an online quote, please complete our online quote form at the top right of this page. Get top cash for cars. Contact us today. Call Express Cash for Cars at 0488 388 843.